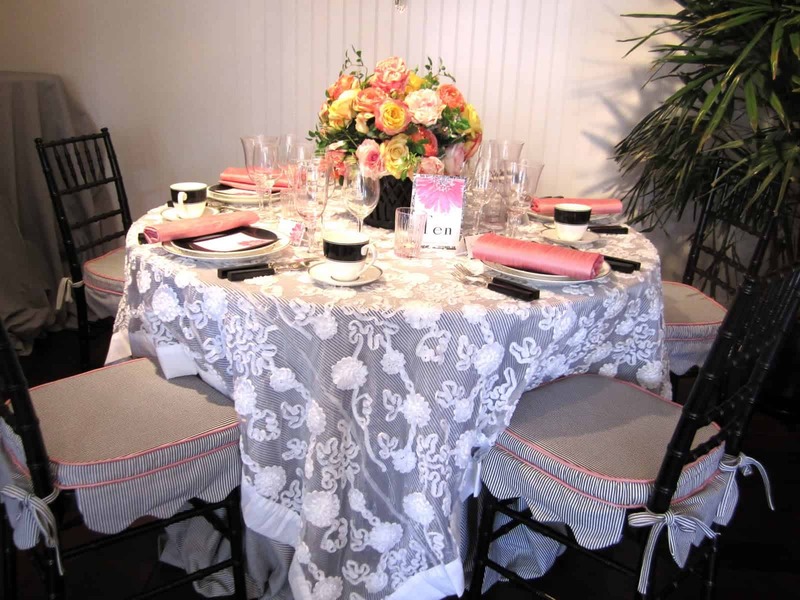 La Tavola is a California based fine linen rental company. 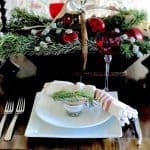 Coordinating napkins and seat cushions, also for rent, make a festive table. You can rent one table cloth or a hundred. 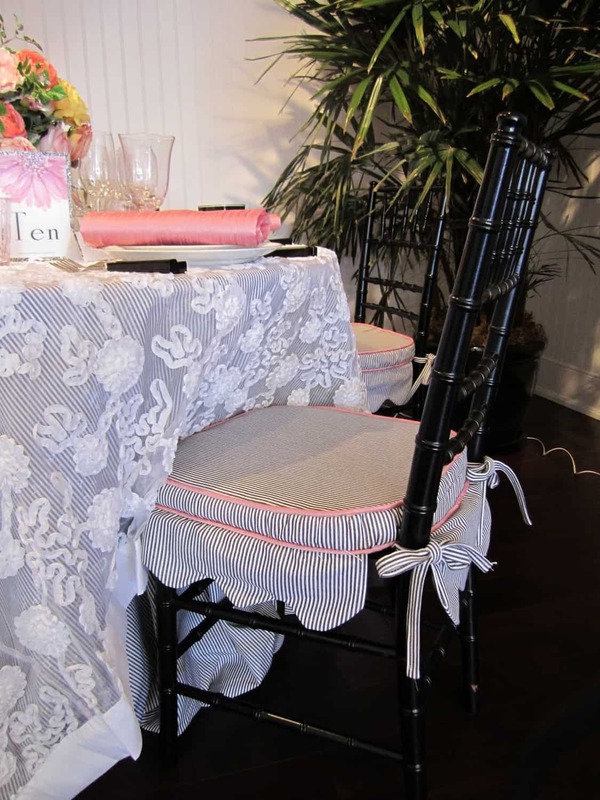 This is a pretty cushion for chiavari party chairs (I have 12 chairs like this stored in our garage). We used them recently for a bridal shower here. 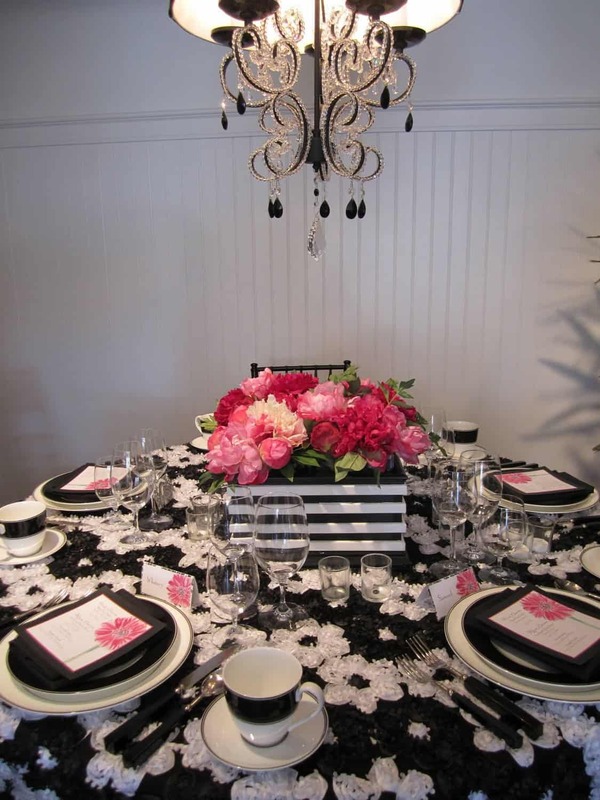 Notice the organza topper over a pin striped floor length table cloth. 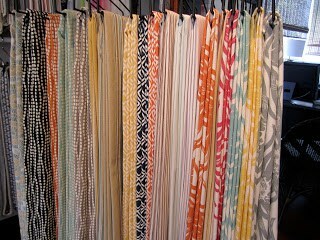 There is an extensive selection of fun fabrics. these cloths below are often sold out. A bit “over the top” for me. What do you think? 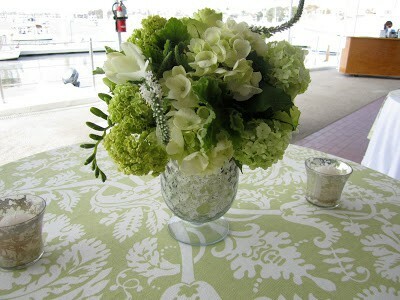 The fabric complements the gorgeous floral arrangements. Back one of my favorites. How easy to decorate with pots from the garden store? Drawing on June 15 for US and Canadian Residents. I love the organza cloth especially. I hope that you have a wonderful holiday weekend. So pretty! 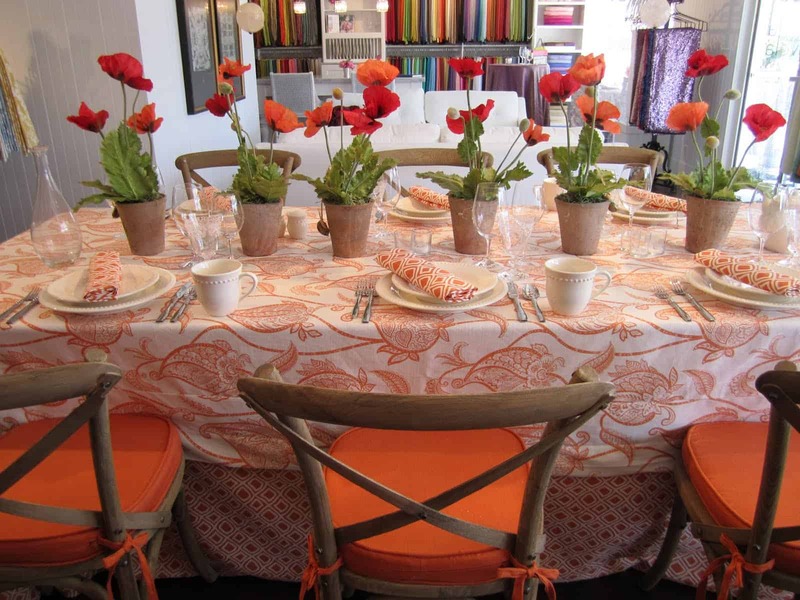 I love all those gorgeous poppies on the table with the fabrics too! 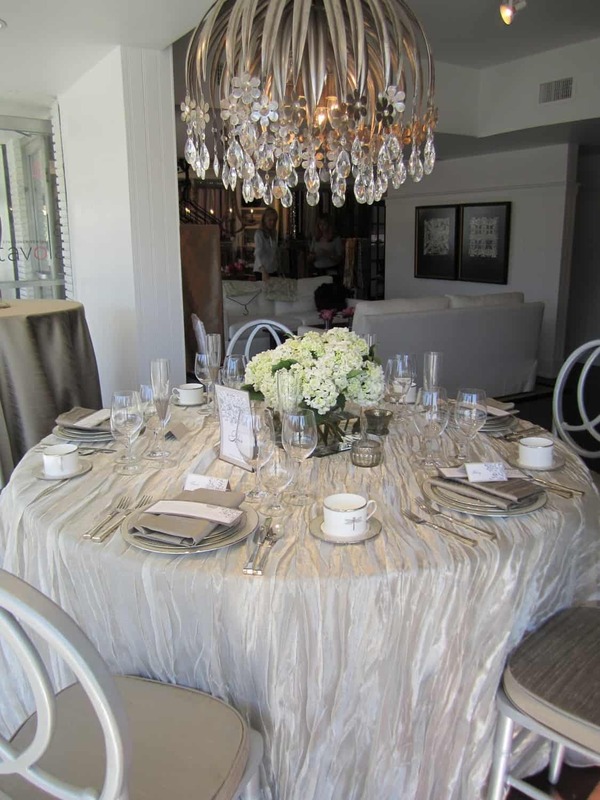 amazing how the linens transform the table! love the poppies! 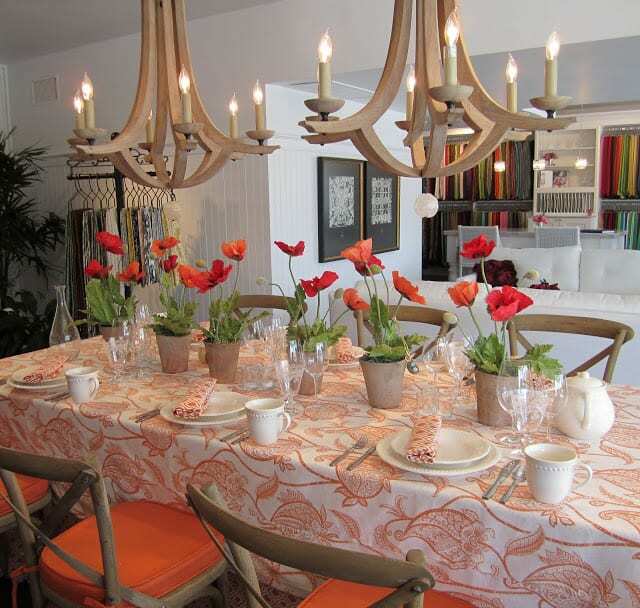 I love the tangerine color table setting and the white dishes look like some I just bought. Yah! OMG!! These are just gorgeous!! How inspiring! The poppies with those wooden chandeliers is brilliant! Thanks so much for sharing! How'd I miss the give-away?? Awesome! So inspiring. Gorgeous linens and I love the idea of the simple potted flowers down the table! Wow! 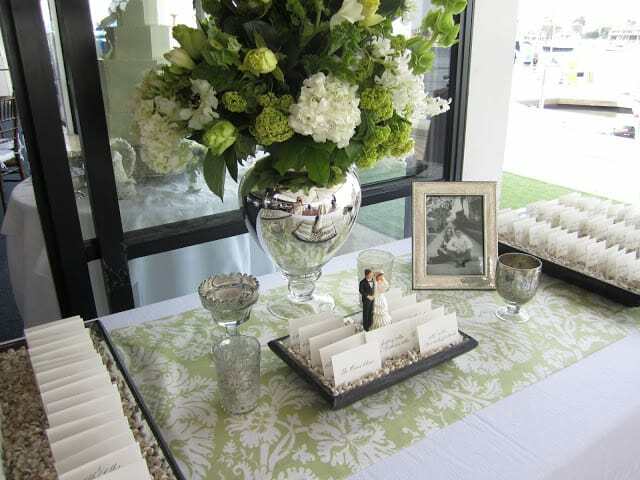 Those tablecloths are gorgeous! I'd be afraid to use the floral ribbon worked ones on actual eating tables, though. Talk about over the top! It'd be great to have just one on a corner dessert table. 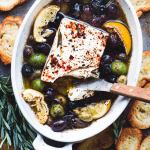 Such gorgeous inspiration pics. Thanks for sharing. 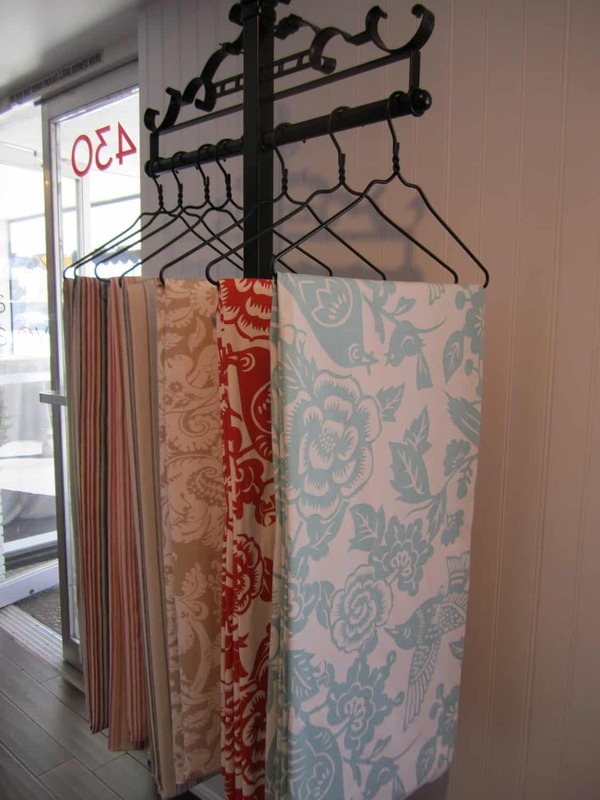 Beautiful linens! 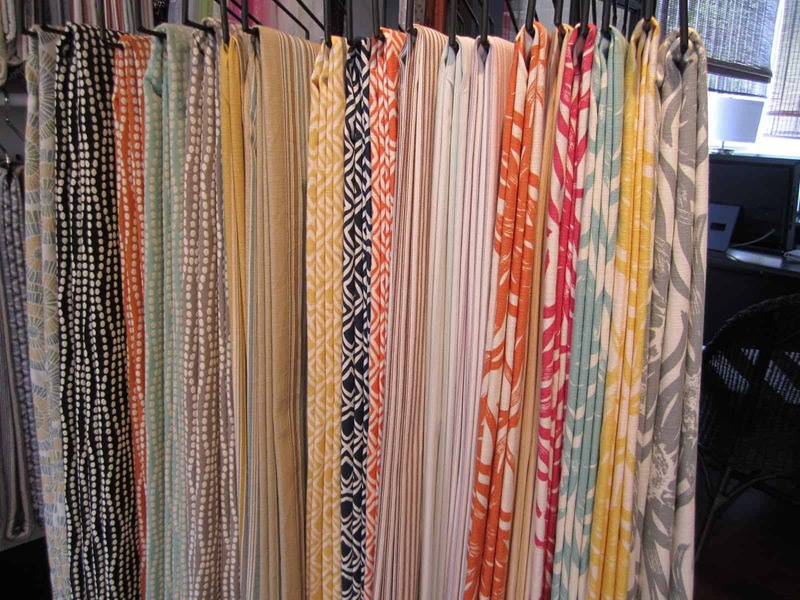 I love all the choices of fabric! I love the first one as well…but all the tables are just gorgeous. Have a wonderful Memorial Day!! The first is my favorite! Oh, so CA fresh and vibrant! What a wonderful idea! 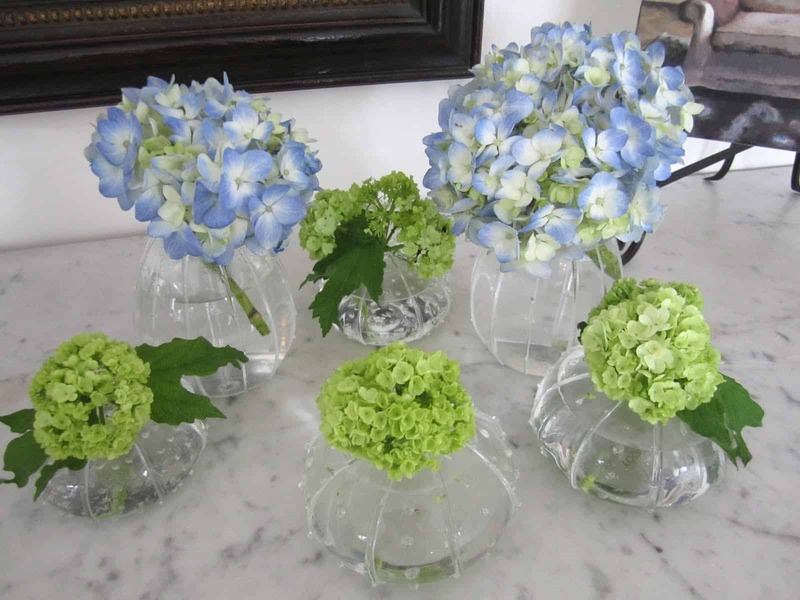 I love them all…great ideas for table settings and centerpieces, too! Thanks! All those years I've had tons of fabric stored I could have opened up a table linen service for their use. 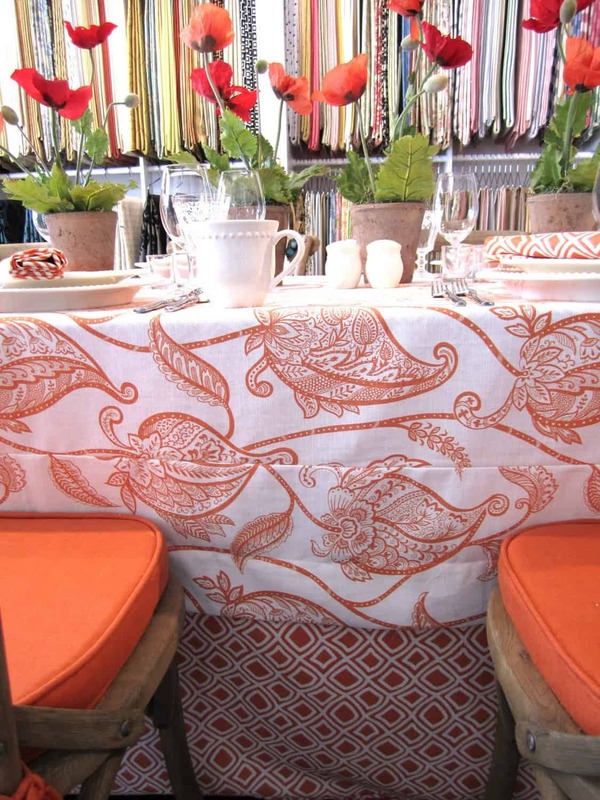 Lovely fabric is still…lovely and these table linens are fabulous. Just love all the coordination which results some great tables. Another thing to love about design…endless possibilities. These are all quite incredible…wow fabulous each and every one! Love the ideas…..love the bridal showers setting and the orange poppies setting…all exquisite!! What a great idea. The linens are all so beautiful and would make a buffet table shine. I especially loved that first image. 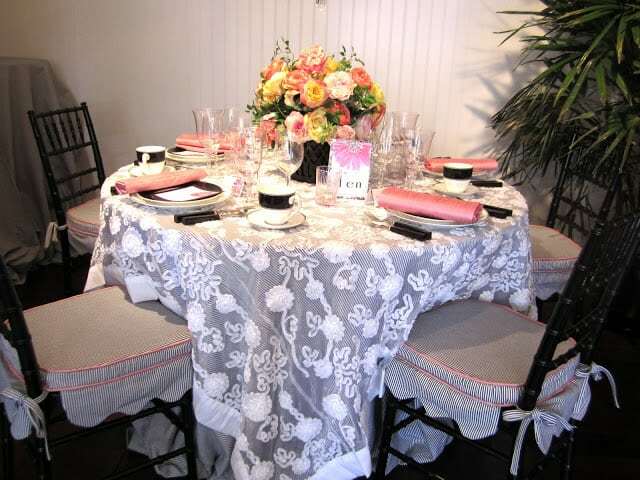 I had no idea there was a company in Newport that rented out such fabulous linens…that don't look like rentals. Your favorite is my favorite as well. The website is great! I will have to check out this place too … I enjoyed the seeing displays and have to agree with you, I like the orange one the best too. How pretty. I love a beautiful table sitting. Have a great holiday weekend! I just recently went to a wedding where the theme was vintage and they used those rose table cloths, they were stunning in the setting. Thanks for the tip, I live in California, going to book that place for sure! 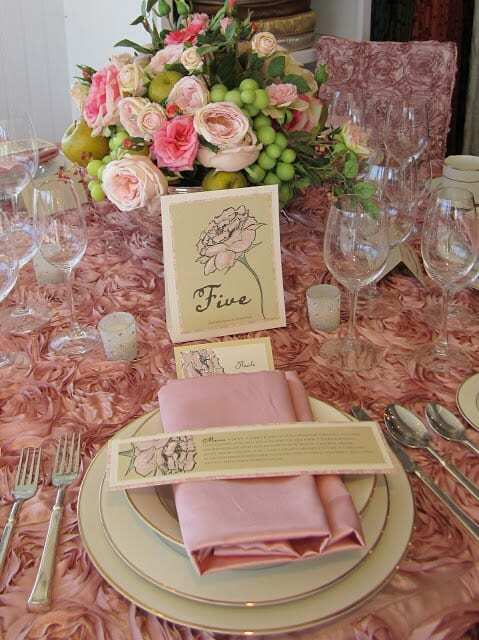 Wow, the rose table cloths are amazing!!! I have never seen them before!!!! Thanks for the inspiration!!! Love that Spring colorful table! and beautiful tablecloths. Thanks for the source. P.S. Hope you're having a great weekend. What a wonderful company – I haven't seen choices like that here. I especially love the orange (of course) and the green that Claire used – just lovely!! Interesting…it never occurred to me that linen rental companies might have such current fabrics available. In any case, these are lovely table settings! I love LaTavola! We actually used them for our wedding last August! We went with the light yellow, oversized gingham! Great post! Oh, I adore the orange tablecloth as well. It's so fresh and lively especially when combined with the poppies in the pots. I saw a white rose tablecloth on another blog and I thought it was so beautiful as well. 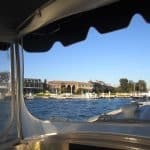 Thanks for the inspiration and for visiting our blog recently. Oh, I love tablecloth… I'm just like my grandma. She collects them! She has some amazing ones and I'm enjoying this post so much. Thank you!!! Very inspiring, thanks for sharing! 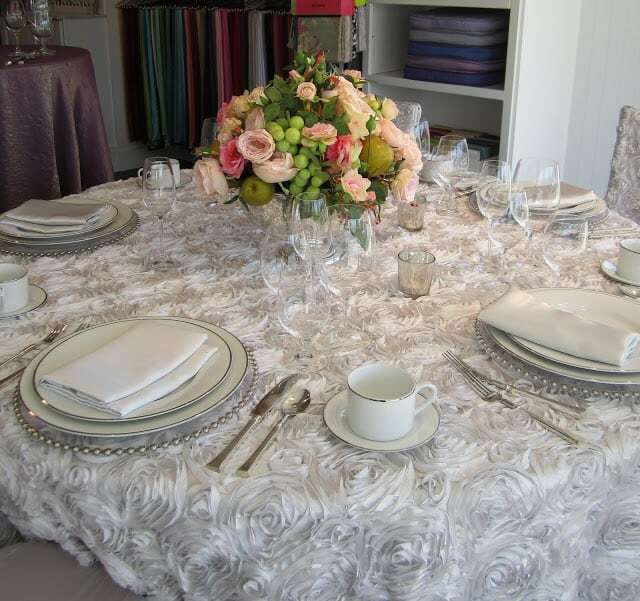 I LOVED the rosette dining table cloth – never seen something like that before. Beautiful! What gorgeous linens! I love the orange one and also the lime green. Thanks for sharing. I love this incredible arrangement. 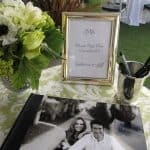 Spring and summer wedding themes are not bad at all. The tablecloth and the flowers are eye-catching.